I was in junior high school — what kids know today as “middle school” — 7th grade, to be exact, and had been called into the principal’s office for the third time to atone for a misdeed I’d committed. Problem was, I hadn’t been anywhere near any misdeeds. I was a good kid — what kids know today (and knew back then, actually) as a “loser” or a “dork” or even a “narc”– a terrible student, sure, but I stayed out of trouble and followed the rules. So why was I continually being called on the carpet by my Prince of a Pal? A troublemaker in 9th grade who kept stirring the fudge because he could be fairly certain I’d be the one taken to task for it. But it took three trips to the principal’s office before I finally convinced him it wasn’t me — that there was some foul, dark Scott Phillips at work in the schoolyard. I lived a life free of other Scott Phillipses for many years after that. Then, in December of 2000, a package arrived from my friend, screenwriter Kirsten Smith. It was a book, accompanied by a note from Kirsten that said something like “Ha ha! 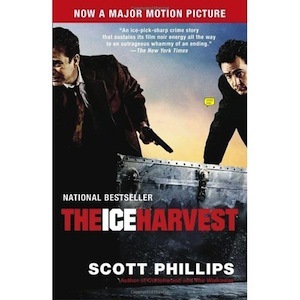 Look who wrote this!” The book was called The Ice Harvest, written by a fellow named Scott Phillips. My first thought was to leave the house, then call home to see if I’d answer. For a few moments, I even wondered if this was my arch-nemesis from junior high, having cleaned up his act and become more successful than me. I read The Ice Harvest and enjoyed the hell out of it. 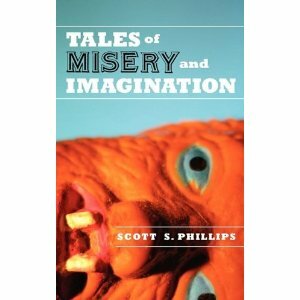 I even bought the next novel by this other Scott Phillips, The Walkaway, and it was equally entertaining. Somewhere around that time, I received an email from this Scott Phillips, who had been Googling his own name and came across my website. We swapped a couple of emails (he was not, as it turned out, my old junior high namesake) and he mentioned that people were always congratulating him on his script for Drive, a movie I wrote. Then I started getting his royalty checks from the WGA. It took a fair amount of doing to get that little issue sorted out, I can assure you. Sometimes his checks were a lot better than mine, so there was a fair amount of temptation involved, too. But brothers-in-arms and all that, right? A year or two later I was sitting in on the autographing session at Bubonicon, a local science fiction convention, when a young fellow approached, carrying a backpack. “I can’t believe you’re here,” he enthused, immediately leading me to believe he had the wrong guy. I was proven correct when he pulled two hardcover books out of his backpack — The Ice Harvest and The Walkaway. I had to break the bad news to him, and he left without buying any of my own work. The Scott Phillipses, it would seem, are not interchangeable. 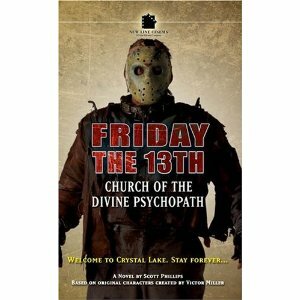 Around that time, my first novel was published — Friday the 13th: Church of the Divine Psychopath, a continuation of the adventures of movie maniac Jason Voorhees. I asked the editor to use my middle initial on the book, but for whatever reason, it was released without it. I don’t know if anyone has ever chastened the other Scott Phillips for slumming in the world of Jason, but I do know I can’t get Goodreads to add the book to the list of my titles. Since then I’ve used my middle initial on my books, although the other Scott and I agreed that I could go without it on my screenplays (and if he writes another movie, he’ll use his middle initial there). Then I discovered the drummer for Creed, also named — you guessed it — Scott Phillips. And recently another Scott Phillips turned up, this one the director of a low-budget horror movie called Meadowoods. I’ve already had interview requests from several sources who thought I made the movie. And there are more Scott Phillipses beyond the ones I’ve mentioned. I’m not sure there’s any way to solve the issue at this point. I mean, the Phillipses are out of the bottle and I don’t even know if middle initials are enough anymore (for that matter, there’s a book on Amazon by yet another Scott S. Phillips). To make matters even more confusing, both me and the Ice Harvest Scott Phillips have stories in an upcoming anthology called Career Guide For Your Job In Hell. What I’m thinking is, it might be time for a Thunderdome-like battle: a half-dozen Scott Phillipses enter, one Scott Phillips leaves. And I’m pretty sure I can take the rest of those guys. The other Scott Phillips (The Ice Harvest) has a blog.